On Monday, we told you that Microsoft had sent out invitations to its event on May 29th. 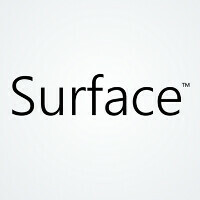 During the festivities, Microsoft is expected to introduce the Microsoft Surface mini. As we mentioned yesterday, this slate is expected to be powered by a Snapdragon CPU instead of the NVIDIA Tegra chip that was under the hood of the full-sized Microsoft Surface 2. While Microsoft has apparently 86'd the built-in kickstand for the Surface mini, one of the cover accessories will be able to work as a kickstand.